SAN FRANCISCO--(BUSINESS WIRE)--Twitch, the world’s leading social video platform and community for gamers, released AutoMod today, a new tool for Twitch streamers that employs machine learning and natural language processing to identify and block inappropriate content from appearing in chat. By empowering streamers with a better way to manage the chat on their channels, AutoMod helps create a more positive experience for themselves and their communities. Triggered through an opt-in mechanism located on the Settings Page, AutoMod is now available for streamers worldwide with an English speaking chat experience. Twitch also released a foreign language Beta version in select countries. AutoMod is a unique moderation tool that does more than filter inappropriate chat. When a user sends a message that AutoMod flags as potentially inappropriate, the message is held in a publishing queue awaiting moderator approval. AutoMod also enables broadcasters to adjust the degree of filtering in the event they are more or less conservative about the type of dialogue they want to see in their chat. Beyond identifying inappropriate words and phrases, AutoMod can detect potentially inappropriate strings of emotes and other characters or symbols that others could use to evade filtering. 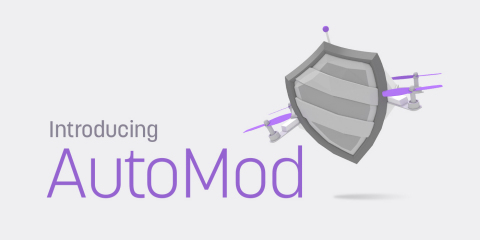 AutoMod joins a set of complementary moderation tools including: enabling streamers to ban links, specific words, repeated phrases, and individuals from chat, as well as the ability to slow chat down, make it emote only, or make it so only users subscribed to a Partnered channel and the channel’s moderators can participate in chat. In addition, broadcasters can assign members from their own community to moderate their chats, use Mod Logs 1.1 for tracking moderator actions, and employ a recent Chat Rules option which requires viewers to agree to the channel rules set forth from the streamer before they can chat. 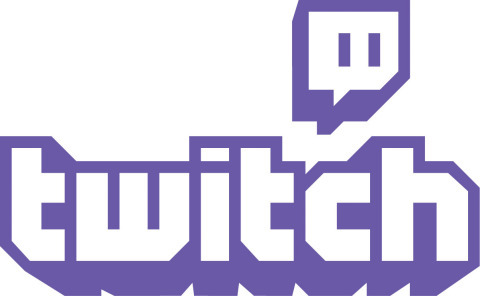 Viewers are also able to report channels that are violating Twitch’s robust rules of conduct and terms of service to the company’s 24/7 moderation team. Twitch’s chat and messaging, moderation, and science teams have been working on AutoMod for months to ensure it would deliver on improving the state of moderation. This included a successful trial run of the product during the live streams of the Republican and Democratic National Conventions which were commended for the civil discourse in chat. Twitch will be regularly reviewing how moderators use AutoMod to maintain it’s effectiveness on a site-wide and per channel basis. In addition to being a powerful moderation tool for broadcasters, AutoMod is aligned with Twitch’s growing inclusivity initiatives. Over the past year, Twitch has taken strides to bolster inclusivity within and outside the company. Internally, Twitch formed a team focused on inclusivity which has hosted several events geared toward attracting more women to the engineering field, with other initiatives in the works. Externally, Twitch has been busy delivering on this commitment; we hosted panels at TwitchCon 2016 devoted to LGBT, people of color, and women in gaming, and introduced Inclusivity City. Inclusivity City was an area designed in partnership with AnyKey to give TwitchCon attendees a chance to connect with organizations that are helping to make the gaming world a welcoming place for everyone. The official AutoMod app is only available in English, while a Beta version is available in Arabic, Czech, French, German, Italian, Japanese, Korean, Polish, Portuguese, Russian, Spanish, and Turkish. For more information on AutoMod, visit the official company blog, Twitter feed, and Facebook page.